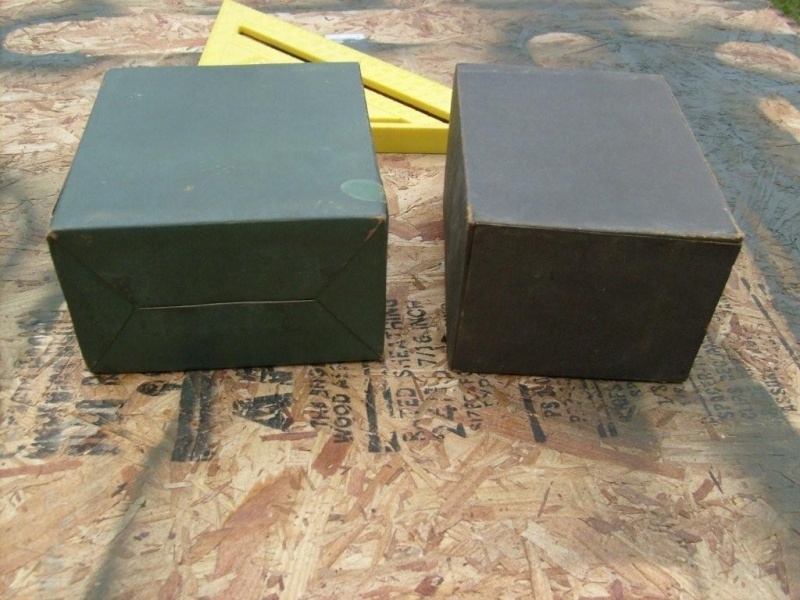 Anyone know what the weight of the radio was in the L-4s during WWII? 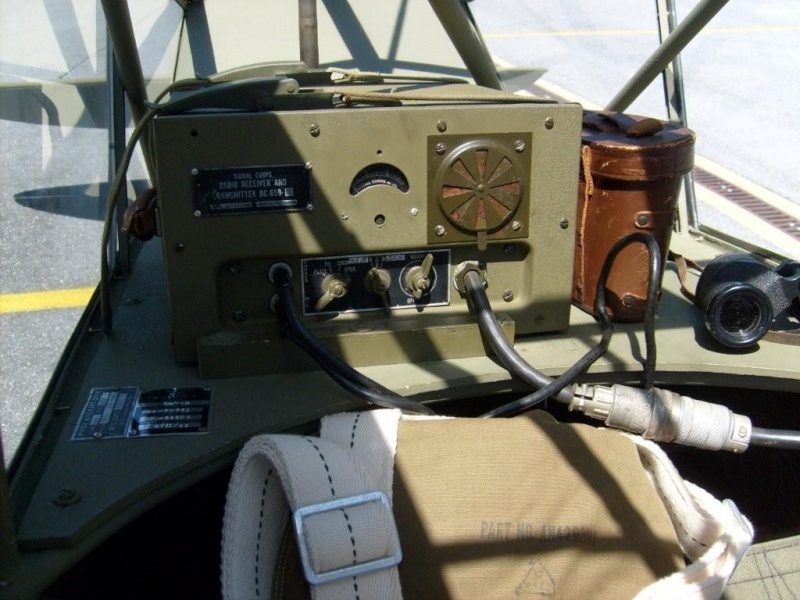 Are you looking for the SCR-610 type or the early war radio types? SCR-610, I assume that's the later variant. I'll get it weighed and posted this week. Here are the weights I got on our equipment, I believe the units are complete. I know it is supposed to be a PE-120 but I never could find one. While I was at it I weighed a few other pieces of equipment. You add the other belt for the rear seat, message books, drop bags, prop and engine covers, etc., etc., and it is amazing they ever got off the ground! Thanks so much for that info, Bluesky. Very informative, I have filed. It's free, right?? According to Ken Wakefield and Joe Gordon, the BC-659 radio was stripped down to bare weight with all the clamps and external stuff taken off. I have two (an A and a B) and both are about 12 pounds with the handle on. 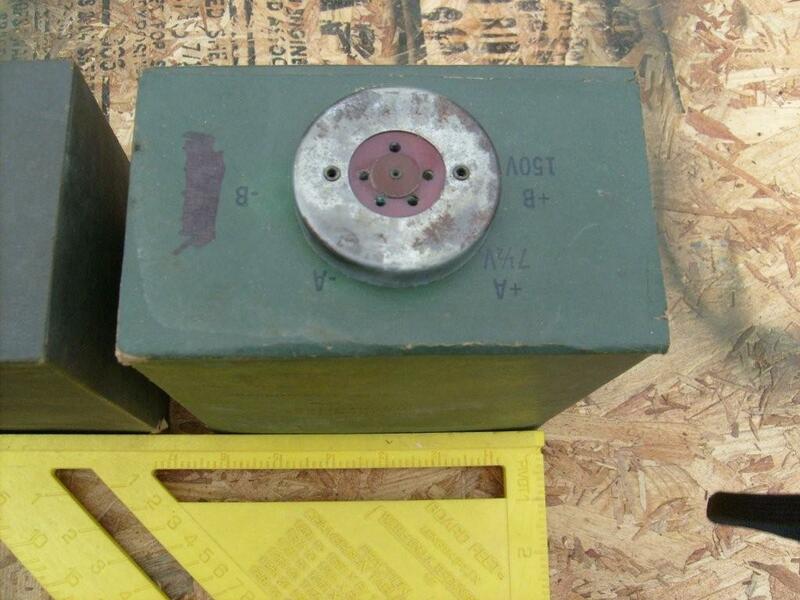 Another pound for the AN-29C antenna. The power units were NOT used on the aircraft. They pulled the cable out of the CS-79 and used that for the BA39 and BA40 batteries that were installed by the Ft Sill manual. Send me your Email and I'll send you photos of my installation. I have direcitons on how to make display batteries, too. Sorry-Typo- the weight of the radio with the stripped case is 21 pounds, not 12. I'll let him tell you what there is here. Thanks for posting these for me- I still haven't mastered the Home Confuser. The top is the BC-659 jeep radio installed per the Ft Sill Manual and Army manual 6-150 Organic Field Artillery Air Observation. The only change I made in the installation is the manual specified using waist belts to hold the radio and the batteries in place. They're not suitable in my opinion as the buckle is awkward and doesn't tighten very well. I used the straps from the infantry Pack Board which was part of the TO&E for an Artillery Battalion and were all over the place. They work far better and are just the sort of substitute that an enterprising young mechanic would do to make his life easier. Batteries were changed out just about every day, so these guys were using them alot. The cannon plug goes to the cable from the CS-79 power unit from the radio to the batteries. 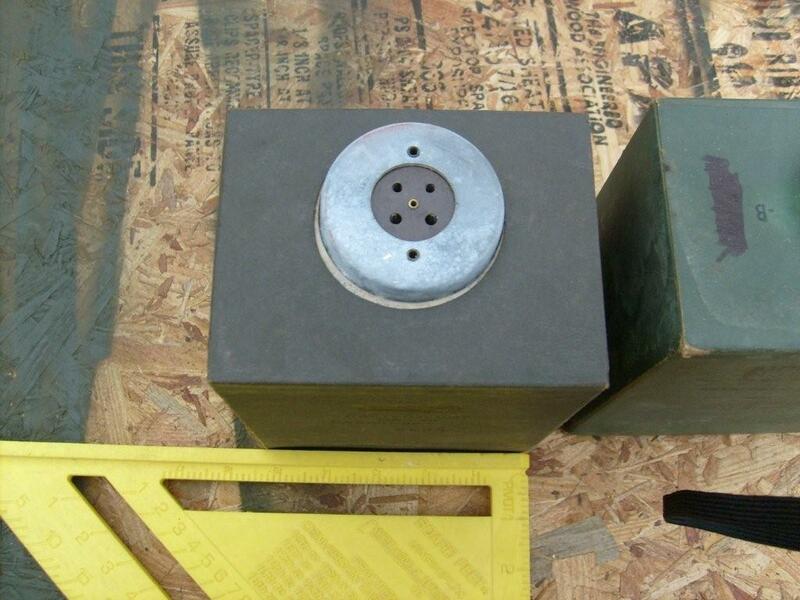 The batteries are held in place by a locally made plywood holder according to the manual. You can see the other end in the last shot. 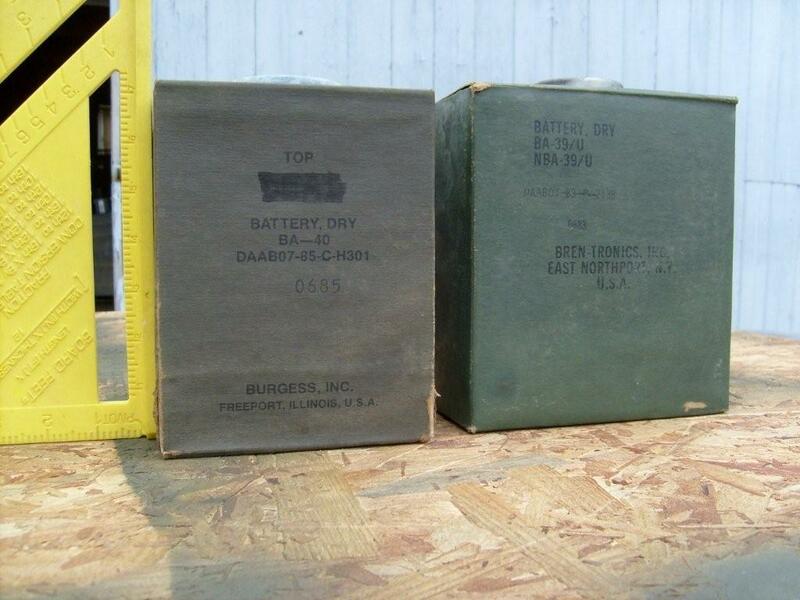 The next 4 shots are original BA39 and BA40 batteries that I found through the G503 site. If anyone wants to make first quality repops, I can show you how. It'll take you every bit of about 2 hours to do it right. The last one is the floor between the two seats. The only place they could fit the radio was over the back seat. The cord from the power pack wasn't long enough to reach from there to the front floor where the batteries used to be placed for the old AVR and AVT setup. It was however long enough to reach the floor in front of the rear seat. So that's where they put them. That meant that the fire extinguisher had to go forward. Which was a better place for it anyway because there was no hope of the pilot reaching it in flight way back there! On our L-4 the radio and other original equipment is only used for static displays. With our density altitudes we don't have the option of any extra weight in the plane. I have not had the desire to solo from the front with the radios in the plane, so can't speak to that. Absolutely I fly with the radio and I fly from the front, as well. I don't know why Cub drivers are tatooed to the back seat. 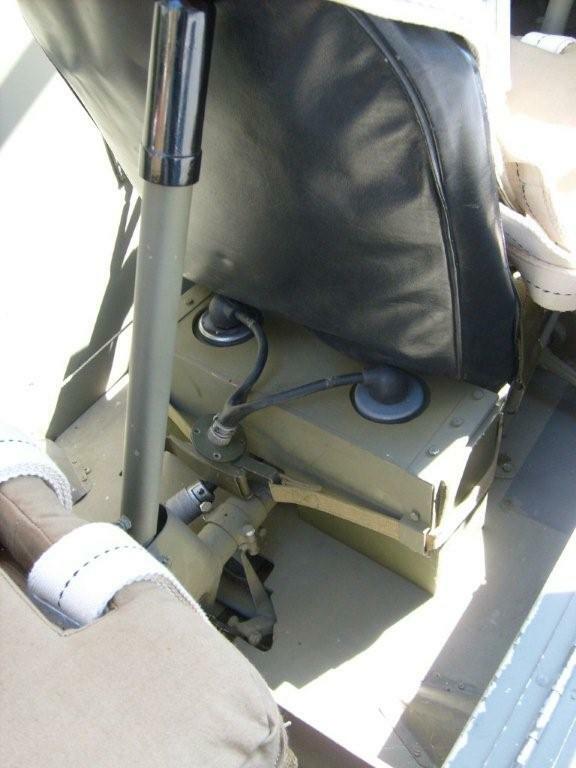 Any Cub can be safely flown from the front as the AGF pilots did-as long as you don't have it placarded for rear seat solo and you don't exceed the Weight and Balance envelope. I have flown it to Air Shows with 2 parachutes and headsets and all the other assorted ratta-fratta that you want to put on display. I don't fly with the antenna extended because there's nobody on the other end anyway and the brass in that antenna is 65 years old and is probably getting a bit brittle. I haven't gutted the radio. There's no need. If you pull all the extra garbage off the outside of the case, it only weighs about 20 pounds and you're allowed that in the baggage area. My old girl balances the trim indicator almost dead in the middle in that configuration, too. I have the placard in place for authenticity, but I scratched part of it like it might have been in use and it reads "ear Seat for Solo Flight". I was checked over by a FSDO inspector at an airshow and he said he thought it was a clever idea.